A wooden honour roll commemorates those who served and those who died in World War One. 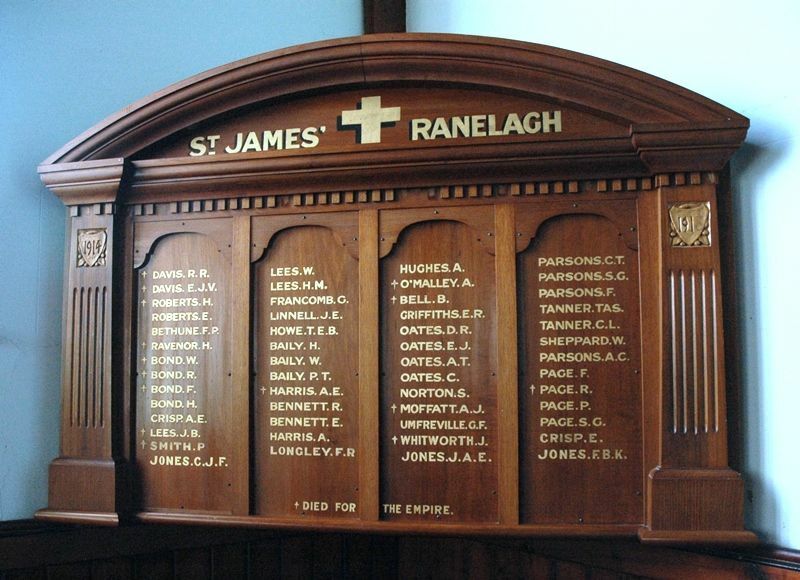 On Sunday next special services will be held at St. James Church of England, Ranelagh and St. John's Church, Franklin. At each church Holy Communion will be celebrated at 8 a.m., and at 11 a.m. the Roll of Honor will be unveiled at Ranelagh and at 7 the same ceremony will be performed in the Franklin church. The preacher on both occasions will be the Ven. Archdeacon Whitington. Huon Times (Franklin, Tas), 4 December 1917.